First thing’s first: before delving into the tales of sweet island life, let’s start with the generic basics. There are some people that don’t know diddly squat about The Bahamas and think we’re apart of the United States or Jamaica. 1. Our location:We’re near the U.S. but we are not like the U.S. Virgin Islands or one of them. Nassau is the capital located on the tiny island of New Providence. I spent most of my childhood years in Abaco, further north. 2. Our language: English is primary language although you’re more likely to hear Bahamian dialect that I like to call Bahamianese. I’ll be making regular posts to teach you guys new words so when I use them in my writing you’re not totally befuddled or when you spilligatin’ with your friends you can toss a few words into the mix. 3. Infrastructure/Homes: In light of the Ms. Nellie Day incident I feel compelled to say that we do not live in shacks or huts on the beach! As in all countries there are upper, middle and lower class citizens, there will be homes of different quality and material. Most of our homes are concrete homes, although there are some still made out of wood. And we don’t all live on/near the beach. Beach front property is expensive!! 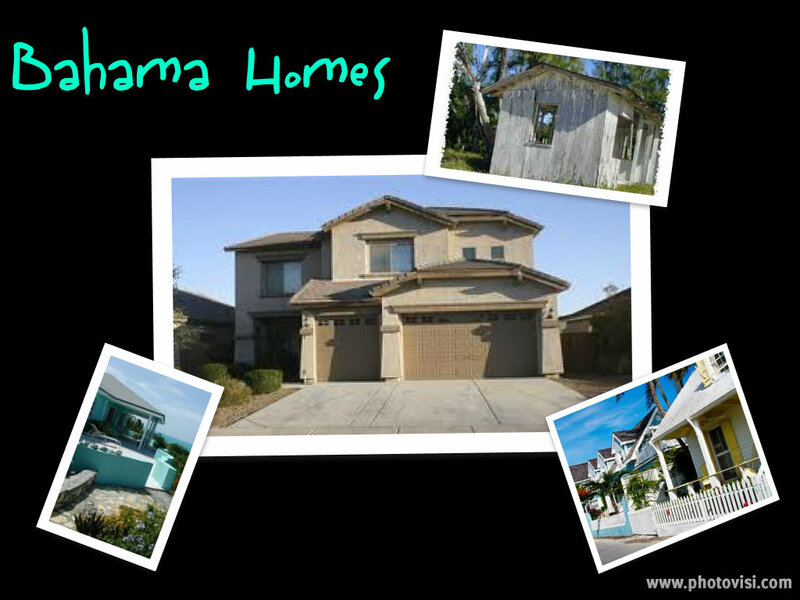 Homes are made of cement to withstand hurricanes. 4. Our Livelihood: Tourism is the number one industry in The Bahamas followed by banking, cement and salt. Directly or indirectly most jobs are impacted by tourism. My dad, for instance, is a self-employed fisherman and does not work in a hotel or anything like that. However if tourists aren’t coming to visit, less people are buying his product, thus the trickle down effect. 5. Our People: We are some proud people. Island life is mostly very laid back so don’t expect people to be rushing around or speed walking like they do in NYC. Generally, we are pleasant and nothing gets us more excited than debates about the Valley Boys versus the Saxon Superstars.